Home » Does Acupuncture Really Work? Have you ever experienced pain or discomfort but told yourself it will pass and there’s no need for a doctor’s visit? Hospitals, doctors’ offices, and medical tests can be daunting, expensive, and worrisome. Besides, initial diagnosis, pain management, and medication might not always solve the problem. Now more than ever, people are seeking alternative, non-traditional approaches in attempt to alleviate pain and prevent future symptoms. Such methods include yoga, reflexology, homeopathy, Reiki, biofeedback, and acupuncture. Let’s dig a little deeper into the healing benefits of acupuncture, assuming you aren’t avoiding the doctor strictly because you’re afraid of needles. Originated in ancient China over 4,000 years ago, acupuncture is an evolving healing practice used to improve physical, mental and emotional conditions for patients around the world. Acupuncture treatment can heal the aches and numbness as the muscle and tissue nerves are stimulated by the thin needles. These slight injections help improve the flow of energy, known as chi, in the body’s pathways that connect its internal organs. 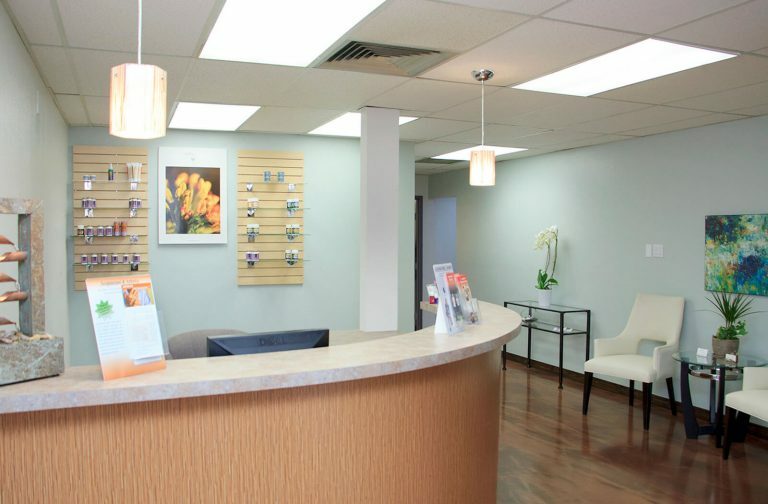 An average treatment session lasts about 60 to 90 minutes with most of the time consisting of dialogue reviewing your symptoms and concerns before the actual injections occur. The treatment’s usage of needles helps pinpoint ailments in the skin or tissues in order to alleviate pain in particular areas and reinforce balance for the mind and body. There’s an age old debate that exists around the world about whether acupuncture is truly an effective and legitimate method for a healthy balance and pain management. The proof lies in the extensive medical research and the testimonials from an array of patients who have endured varied ailments and pain symptoms. There are significant benefits and sufficient reasons to explore acupuncture and gauge its outcome for yourself. From a healing perspective, acupuncture has demonstrated to benefit emotional stress and physical discomfort. Injections in specific areas relieve back pain, neck tension and joint pain in hands and arms. As the needles stimulate certain points on the body, individuals experience reduced inflammation, improved flexibility and less muscle stiffness. Acupuncture procedures once or twice a week have proven to help improve migraines and headaches, and act as a natural, less costly substitute to doctor-recommended pain medication. Eye strains and ailments present another case where the flow of chi activates the body’s own self-healing process. Immune systems directly benefit from acupuncture treatment since the pricks trigger the body to fight off pathogens which consequently helps cure colds and prevent allergies. Individuals with gastrointestinal problems have credited acupuncture with providing aid and regulating their digestive system. People with dental pain and soreness have also relied on acupuncture for pain relief. The alternative medicine practice has multiple advantages for women with regards to menstrual cramps, pregnancy and labor discomfort and lower back and sciatica pain. Furthermore, acupuncture can benefit additional bodily functions and relieve issues within our circulatory, muscular and respiratory systems. In fact, the procedure helps detoxify the body and can aid people to quit smoking by easing jitters, controlling cravings and making them less irritable. In the most severe of illnesses, acupuncture has helped patients who are undergoing cancer treatments as a result of reducing nausea and vomiting along with helping cope with emotional distress. Acupuncture does not only impact body aches and physical pain, but it also can benefit mental well-being and invoke a clarity and balance to bolster one’s lifestyle and contribute to overall contentment. It has been known to reduce stress and impose a relaxation or euphoric effect. For professionals, this can lead to increased work productivity and a healthy approach to the stress and pressure associated with our daily lives. The needles freeing up the chi flow within the body and soul can inflict a surge of energy and motivation in a much healthier and natural manner than caffeine choices like soda, coffee, and energy drinks. On the other hand, acupuncture has readily been accepted as a tool to treat insomnia and sleep disorders. In addition to pain relief, there are numerous other advantages in opting for acupuncture treatment. With approximately 75,000 opioid deaths each year of late in the United States, doctors and patients recognize the risks associated with pain medication and weigh other options when managing pain relief. Acupuncture is natural, drug-free treatment regimen with minimal and only minor side effects. Its minor injections are relatively painless in most cases making acupuncture a much less invasive medical practice as opposed to most procedures performed by doctors and surgeons. Accepted and revered throughout the medical industry, acupuncture is been administered to millions of people around the world each year. Few side effects have been associated with the ancient Chinese treatment method; therefore, recovery time is moot and more and more people are giving it at least a trial run. Another advantage is the fact that the financial liability is much more reasonable than traditional medical assistance and remedy. In many workplaces around the world, acupuncture is covered by employee insurance plans. There is an abundance of information and guidance available for one seeking to explore acupuncture via the American Academy of Medical Acupuncture (AAMA), an esteemed organization representing the highest standards of treatment and training and consisting of 1,300 acupuncturists in North America and beyond. Let’s not under-estimate the phenomenal progress and advancements in technology and equipment that have helped cure and improve the ailments and diseases for the general population. Researchers and doctors have made tremendous strides and continue to develop new procedures and drugs to help relieve pain and heal our body and mind. It is exceptional to think that acupuncture harkens back hundreds of thousands of years and has not significantly changed its course. Contact us today to get your mind and body in better shape! In conclusion, the research proves the benefits and the growing trend of people undergoing acupuncture treatments is an indication that the old practice is still highly productive for a multitude of reasons. Will we see more and more patients going this route in the future? Only time will tell, but acupuncture is timeless and the physical, mental and emotional advantages are more than tolerable, just like the slight needle injections that keep that energy flowing.